Don't pretend like you keep a straight face while doing "happy baby." 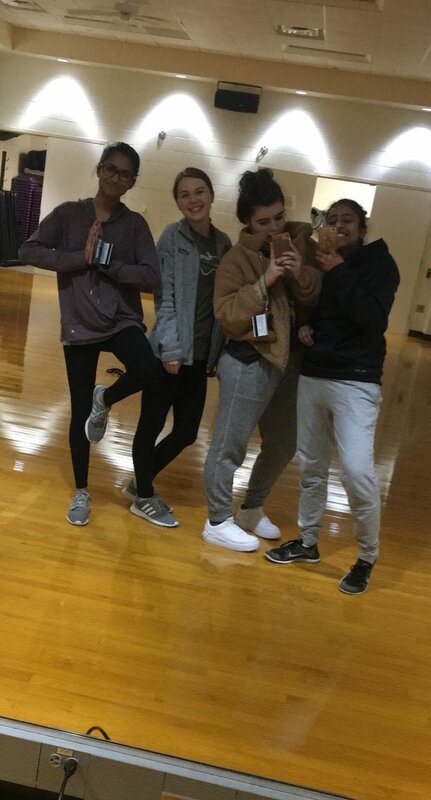 At the start of freshman year, a few friends and I decided to try one of the yoga classes on campus (free for all students!) It soon became a weekly event of relaxation and cheesy mirror selfies, giving us forty-five minutes every Thursday night to crack every joint in our bodies and try to hold our balance as well as the star athlete in the row in front of us. This was all until the new semester started, and new students with big new year's resolutions began to fill the class. I may not be a yoga pro (I can't even close my eyes in tree pose,) but I do know yoga etiquette. More importantly, I know what is not. At the first spring class I attended, there was a packed house, and everyone (I do mean everyone) was there. That's fine. It is an amateur event after all. What is not fine is taking an obnoxiously loud deep breath at the beginning of our "quiet time" that makes me laugh sporadically for the rest of the hour-long class. And that was far from the only thing to send me into a silent giggle fit in the sacred "de-stressing zone." Around five minutes into the class, as I was finally starting to forget about the Darth Vader breath from before, we are all stretching out our shoulders by lying on the floor with our backs twisted. I close my eyes and go to my happy place. Well, I go there for three seconds before I feel someone reach over to hold my hand. I opened my eyes and my friend was staring straight back at me. Long story short: don't bring your friends to yoga. But my friends were not the only problem in the class. All you couples out there, don't work out together. And girlfriends, when your man is getting settled into tree pose, do not push him over. The last thing I need to see in the mirror is your aggressive self bullying your boyfriend during the little bit of peace he can find in a class you forced him to come to in the first place. And if you are a yoga pro, there is no need to show it off. I don't care if you can make your body look like a pretzel. I am personally satisfied with the frog pose I can hold when we are supposed to be in downward dog. You don't intimidate me, sister! 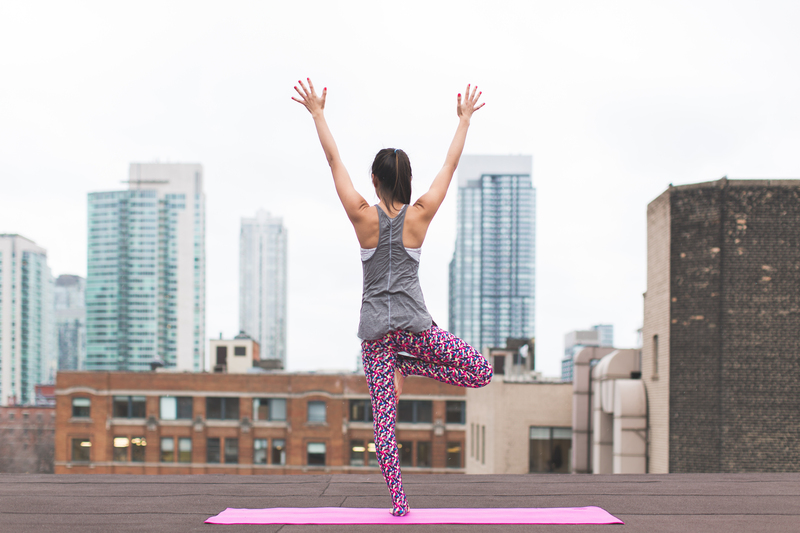 I know there are probably some of you reading this with no idea what a yoga class is truly like. Let me fill you in on some of the basics. Throughout the entire class, the instructor is likely to have a Spotify playlist of relaxing tunes. The songs are always a hit, at least enough to lead my friend to have her Shazam app open for the entirety of the class. They really are quite nice. That is if the instructor has listened to the entirety of each song. From the bottom of my heart, I hope none of you ever have to endure the shock that is the trumpet entrance in the deceitfully relaxing "A Kiss to Build a Dream On." In all, I would still highly recommend yoga. Each class is begun with the instructor's guidance to "listen to what your body wants" (so no planks for me) and ends with a little nap, called "savasana," which my friends and I have resorted to calling "shavocado" (yes, like the vine.) The playlist makes you feel like you are writing poetry in a hole-in-the-wall coffee shop, and the people make you feel like you are training for the Olympics. So, yoga, I'm sorry I laughed at you. You truly are a blessing. Let's just blame this one on the snort-breather and call it a day. You are stretching, lifting, and twisting like a pretzel. I am not new to yoga, but I have recently started taking yoga classes. I must say the experience is incredibly strange. Yoga class is this strangely intimate place. Where you are told to twist your body to all these uncomfortable positions while watching yourself in a God awful large mirror that covers the entire room. 1. The moment you walk into class and look for a spot. 2. The "resident" Yogi is "warming up"
3. The instructor tells you to go to the front of the mat and breathe. 4. You start the first set of upward and downward dog. 5. The instructor tells you to put your head down and breathe. 6. You are the only one falling out of your poses. 7. The moment you complete your first pose of the class. 8. "Class, we are almost done" the instructor says. 9. You get to lay on your back and stretch your arm. 10. You walk out of class and feel like you're on top of the world.